This is the national University of the Third Age organisation to which local U3As are affiliated. The regional grouping of U3A groups including Leeds. The Regions are the main link between local U3As and the national Third Age Trust. The international federation of Universities of the Third Age across the world. A U3A group based entirely on the internet. Many of our meetings are held here. Some of our interest groups meet here. (formerly Age Concern and Help the Aged). The Leeds branch offers a range of a range of activities and services, based at Mark Lane, Leeds LS2 8JA. Phone is 0113 389 3000. 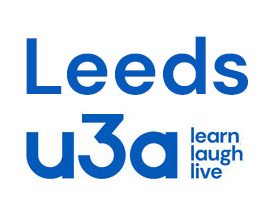 A network of local voluntary organisations (including Leeds U3A). The web site of Voluntary Action Leeds, the Council for Voluntary Service in Leeds.